THE GARDA SÍOCHÁNA Ombudsman Commission (Gsoc) is examining the circumstances surrounding the death of a man in Mullingar, Co Westmeath on Saturday. It’s understood that gardaí were called to Midlands Regional Hospital on Saturday evening, where they had an interaction with the 40 year-old man. The man returned home, but later returned to the hospital by ambulance and was pronounced dead on Saturday night. Gardaí in Mullingar subsequently referred the death of the man to Gsoc under section 102 of the Garda Síochána Act 2005. A spokeswoman for Gsoc said that the ombudsman’s investigators have travelled to Mullingar, and that the matter remains under examination. A post-mortem on the man’s body is due to be carried out later this morning. A garda spokesman said that as the matter had been referred to Gsoc, the force would not comment on the investigation. Email “Garda ombudsman notified after man dies following incident at Midlands Regional Hospital”. 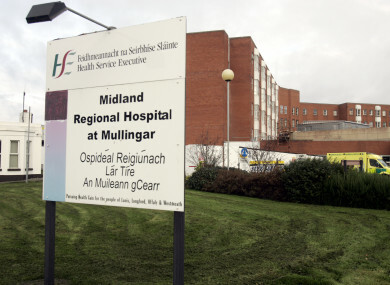 Feedback on “Garda ombudsman notified after man dies following incident at Midlands Regional Hospital”.